Biography of Rabbi Ovadia Yosef (1920-2013) and his relationship to the Rabbi Meir Baal Haneis charity in Israel. Rabbi Ovadia Yosef, former Sephardic Chief Rabbi of Israel, was a world renowned Talmudic scholar and authority on Jewish law. He was the spiritual leader of the Shas Party in the Israeli Knesset. Rabbi Ovadia Yosef lived in the Jerusalem neighborhood of Har Nof with his wife and eleven children. Rabbi Ovadia Yosef was born in Baghdad on September 23, 1920. In 1924 he immigrated to Jerusalem with his family. As a teenager he studied at the Porat Yosef Yeshiva, where he advanced to the highest class taught by the Rosh Yeshiva, Rabbi Ezra Attiya (1885-1970) one of the greatest 20th century teachers of Torah in the Sephardic Jewish world. A story is told how Rabbi Attiya was instrumental in keeping the young Ovadia in Yeshiva. The diligent young scholar suddenly stopped coming to yeshiva. After several days, his teacher Rabbi Attiya became concerned and paid a visit to his home. He was shocked by the poverty he saw there. Ovadia's father explained that he ran a small grocery and needed the boy to work for him. Rabbi Attiya attempted to convince the father of the importance of Torah study, but to no avail. The next morning, when the father entered his store, he found Rabbi Attiya standing there, wearing a work apron. He explained that he had come to the store to work without pay to replace Ovadia and allow him to return to Yeshiva. "Your son's learning is more important than my time!" the Rosh Yeshiva told the father, who realizing the gravity of the issue, allowed his son to continue his studies. Rabbi Ovadia Yosef gained prominence for his Torah scholarship as a teenager, and by the age of 20 he was ordained as a rabbi. In 1947, Rabbi Aharon Choueka, the founder of yeshiva Ahavah VeAchvah in Cairo invited Rabbi Ovadia Yosef to teach in his yeshiva. At the same time Rabbi Yosef also served, at the request of Rabbi Ben-Zion Meir Hai Uziel, as head of the Cairo rabbinical court and also as the deputy Chief Rabbi of Egypt. After several years in Egypt, Rabbi Ovadia Yosef returned to Israel to study in the midrash "Bnei Zion" headed by Rabbi Tzvi Pesach Frank. He also served on the rabbinical court in Petah Tikva where he began to receive great acclaim due to his knowledge of Halachah. Between 1958 and 1965 Rabbi Yosef served as a rabbinical judge in the Jerusalem district Beth Din. He was then appointed to the Supreme Rabbinical Court of Appeals in Jerusalem, eventually becoming the Chief Sephardic Rabbi of Tel Aviv in 1968, a position which he held until his election as Chief Sephardic Rabbi of Israel in 1973, replacing Rabbi Yitzchak Nissim. In 1951 he published his book on the laws of Pesach titled Chazon Ovadia. 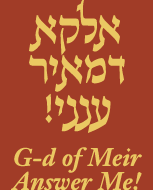 The book won much praise and received the approval of many Gedolim, including the two Chief Rabbis of Israel at that time, Rabbi Ben-Zion Meir Hai Uziel and Rabbi Yitzhak Halevy Herzog. In 1953 he founded Yeshiva Or HaTorah for gifted Sephardic Yeshiva students. This Yeshiva was the first of many which he established to facilitate Torah education for Sephardic Jews. In 1953 and 1955 he published the first two volumes of his classic work Yabia Omer. In a letter which appears in the foreword of the second volume, Rabbi Shlomo Zalman Auerbach praised Rabbi Yosef as "one of the greatest Torah scholars which have risen in Israel in recent generations", an extraordinary statement, given that Yosef was then only in his mid-thirties. In 1970, by which time 5 volumes had been published, Rabbi Yosef was awarded the Israel Prize for Torah literature for this work. His responsa are noted for citing almost every source extant regarding a specific topic. Among Rabbi Yosef's earliest works was a detailed commentary on the Ben Ish Chai titled Halichot Olam. He was asked to finish the commentary Kaf Ha'Chaim by Rabbi Yaakov Chaim Sofer after the author's death. There is also another series of books under the title of Chazon Ovadia regarding the laws concerning Sabbath, holidays and other topics. Rabbi Yosef printed a commentary on the Mishnah tractate Pirkei Avos (Ethics of the Fathers) under the title, Anaf Etz Avot, and Maor Israel, a commentary on various parts of the Talmud. His son, Rabbi Yitzhak Yosef, has published a widely-read codification of Rabbi Yosef's rulings entitled Yalkut Yosef. Another son, Rabbi David Yosef, has printed various siddurim and liturgy according to Rabbi Yosef's rulings, and another halachic compendium entitled Halachah Berurah. Despite his advanced age, Rabbi Yosef remained an active public figure in political and religious life in his capacity as the spiritual leader of the Shas political party and through his regular sermons. Jewish prayers according to Rabbi Yosef's verdicts are the most common in Sephardic synagogues. His halachic sefarim and decisions have gained circulation beyond compare. Rabbi Yosef is indisputably a one of a kind Torah phenomenon in our times. Rabbi Ovadia Yosef was an ardent supporter of the Rabbi Meir Baal Haneis Salant charity fund and had consistently encouraged and assisted the organization in every way possible. Suffering from health condotions during the latter part of 2013, Rabbi Yosef finally succombed to his illnesses and passed away on October 7, 2013. His funeral in Jerusalem was one of the largest in Israel's history, with an attendance of over 500,000. May his memory bering merit to the Jewish Nation.